Let the staff at Thornberry be your personal golf getaway concierge. Whether it's just you, or you with a group of buddies, we can accommodate and customize your golf experience. Our host hotel is also the Official Hotel of the Green Bay Packers! Stay and play in style at the award winning Radisson Hotel and Conference Center and make your way into the Oneida Casino to try your luck off the course! We can deliver for groups of any size, and we'll even provide transportation from the Radisson to Thornberry. All you have to do is relax and enjoy your time away! 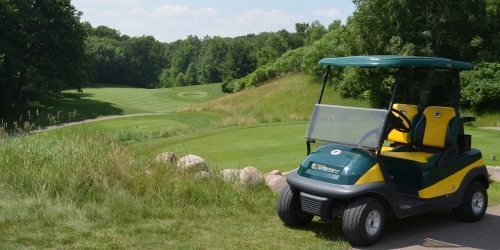 When calling 920-434-7501 x1, please mention you saw this golf package on GolfWisconsin.com. Thornberry Creek At Oneida reserves the right to change price and offer at anytime. Prices and offer are subject to change without notice. GolfWisconsin.com is not responsible for errors posted in this golf package.